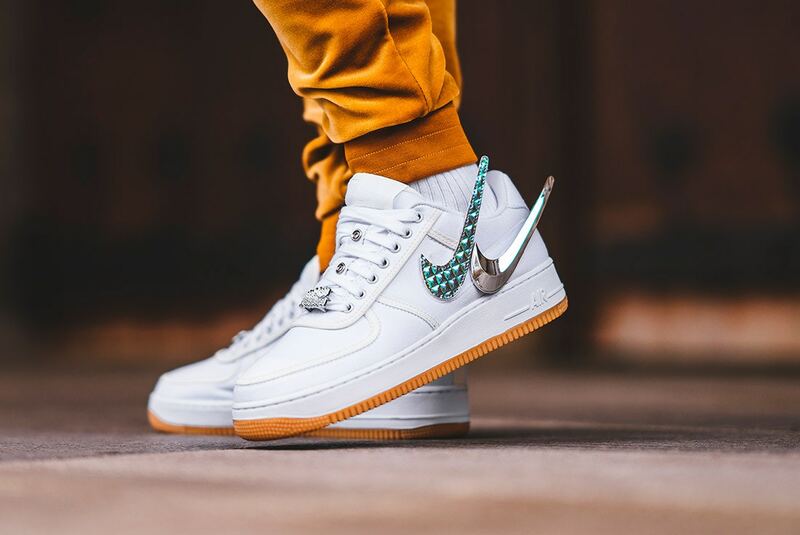 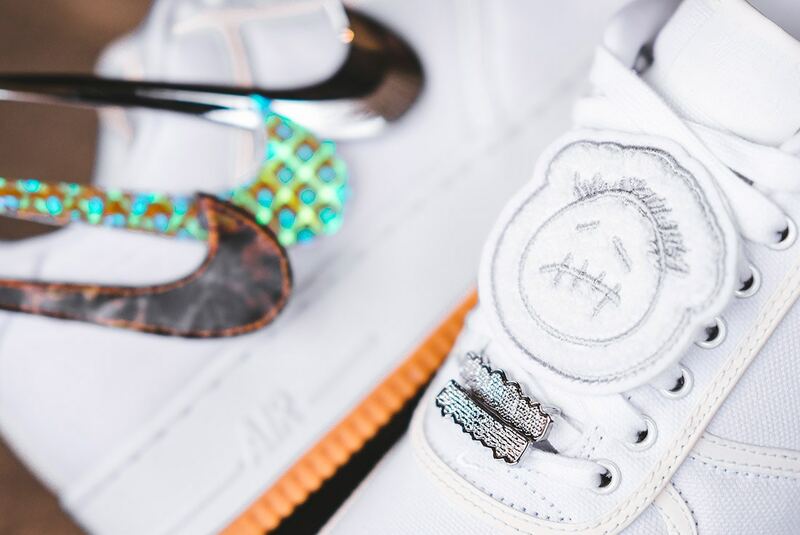 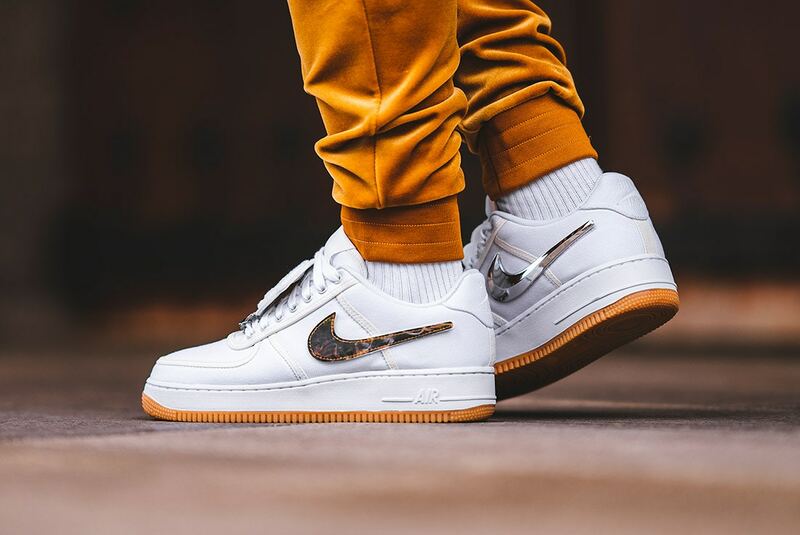 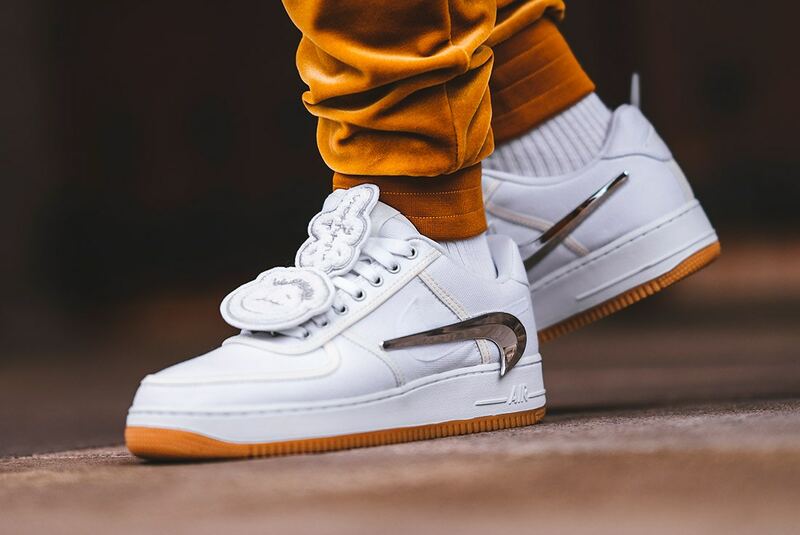 To continue celebrating the 35th anniversary of Nike‘s iconic Air Force 1, Nike reached out to some influencers to collaborate and craft up some special edition silhouettes of the sneaker. 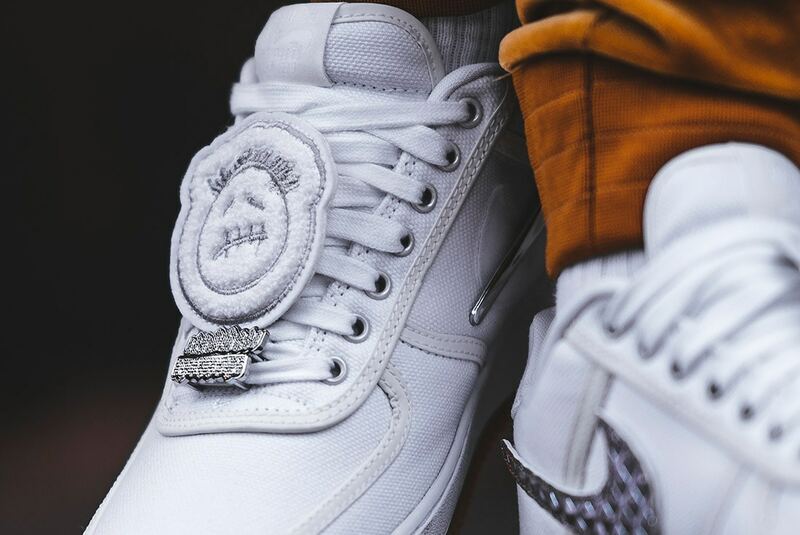 Now Travis Scott’s re-imagined model has been revealed. 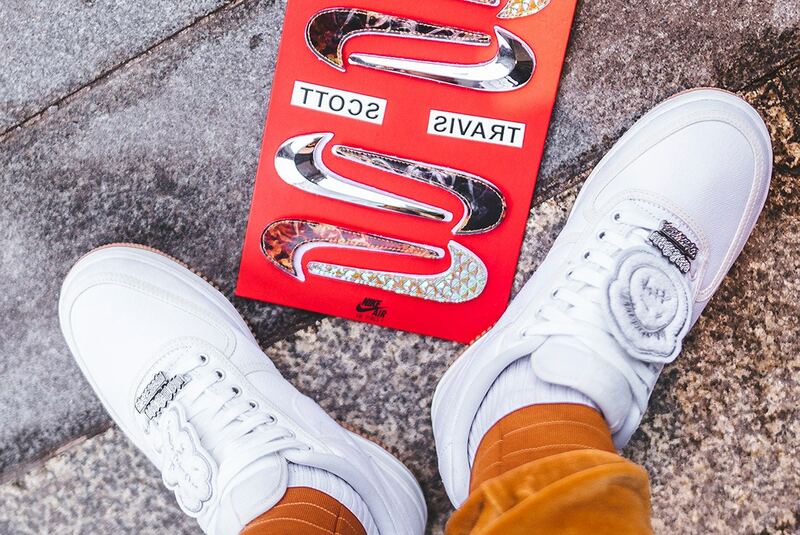 He kept it classic with an all-white color scheme that also boasts various Velcro Swoosh designs and snap-on forefront accessories.